We’re excited to announce that Satalyst is now a certified Microsoft Cloud Solution Provider. The Microsoft CSP program allows Satalyst to sell and support subscriptions for Microsoft cloud services. Therefore, our clients can buy subscriptions to Microsoft Dynamics, Office 365, and Azure from us directly. Especially relevant to customers, adding this offering means we are now officially a one-stop-shop. We have always built, integrated and supported cloud-based solutions. But now we also provision, manage and directly bill for cloud subscriptions. Add our flexible outsourced IT and cloud support offering, and we look after the whole customer lifecycle. As a result, we aim to provide excellent customer service combined with best in class technical capability. 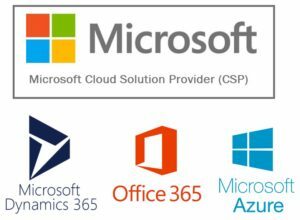 Why purchase through a Microsoft CSP? Purchasing through a Microsoft CSP partner, as opposed to going directly to Microsoft, can provide you with a broader range of purchasing methods, more flexible and customised solutions, and a more direct line of support. You can learn more about the benefits of being and working with a Microsoft CSP partner here.